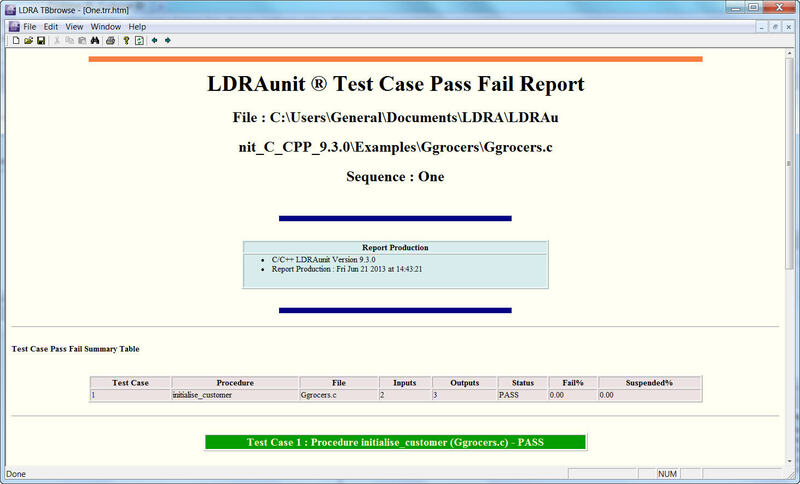 LDRAunit, LDRA’s class leading unit test tool, provides a complete integrated framework for the automated generation and management of unit tests. This solution maximises test throughput and repeatability to significantly increase overall test benefit. In turn this frees up developers to focus on ensuring that the functionality of software under development has been implemented correctly, including the appropriate error handling. Software development managers seeking to develop the highest quality code are turning to unit testing to avoid the potential delays caused by postponing the discovery and correction of defects until the system test cycle. 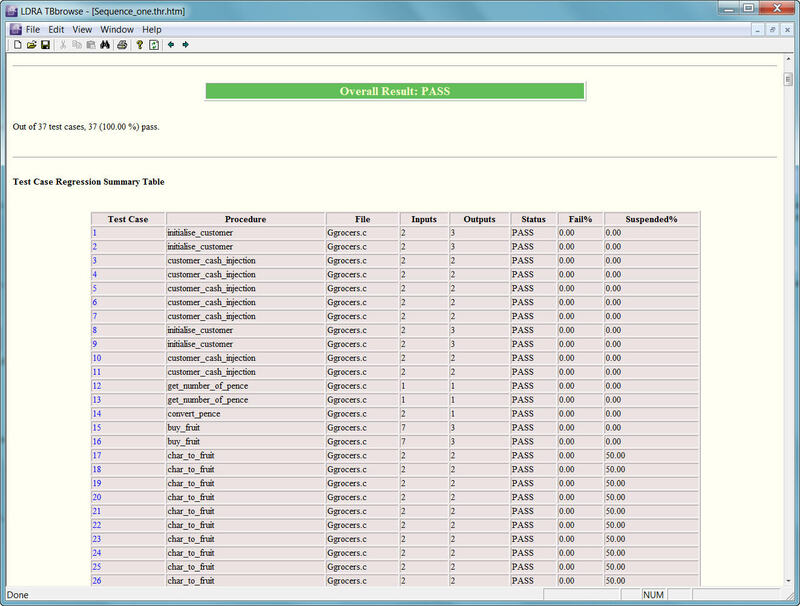 Making use of the comprehensive control/data flow analysis, LDRAunit extracts details concerning the unit interface, parameters, globals (input and output), return values, variable types and usage and procedure calls. Traditionally this level of information could only have been specified by a developer with an expert knowledge of the unit under test. By automating this process LDRAunit frees up highly qualified staff who may then be re-assigned to other modeling, design and development tasks. The key benefit of LDRAunit supported unit testing process is the high degree of automation that saves both time and resources, thereby enabling a quicker time to market. 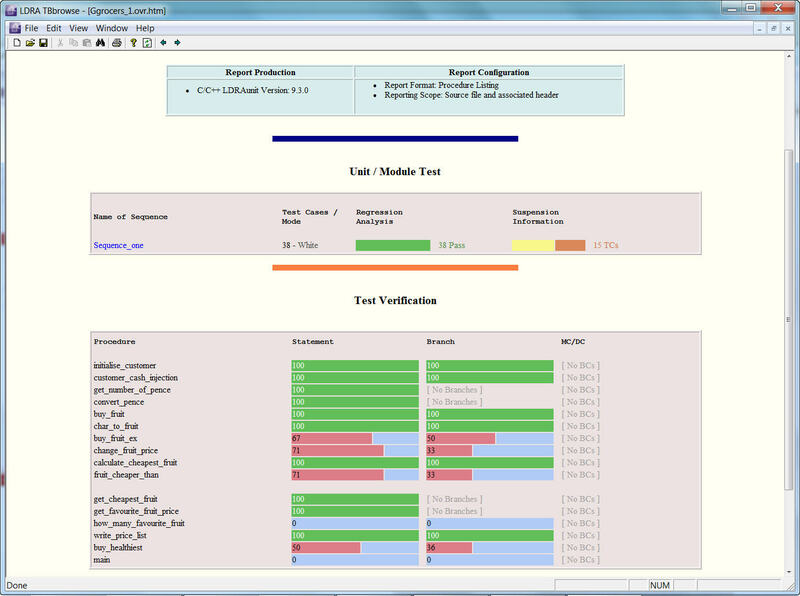 LDRAunit utilises sophisticated control flow and data flow analysis techniques to document the interface to the unit under test in full. This level of information then enables LDRAunit to automatically generate test drivers removing the need for manual scripting. There are no limitations to the automatically generated driver. 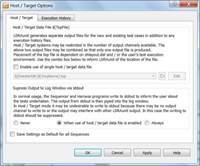 It is pure C/C++, Ada 83/95 or Java depending on the application code and can be executed in the host or target environment. LDRAunit stores groups of test cases as sequences. 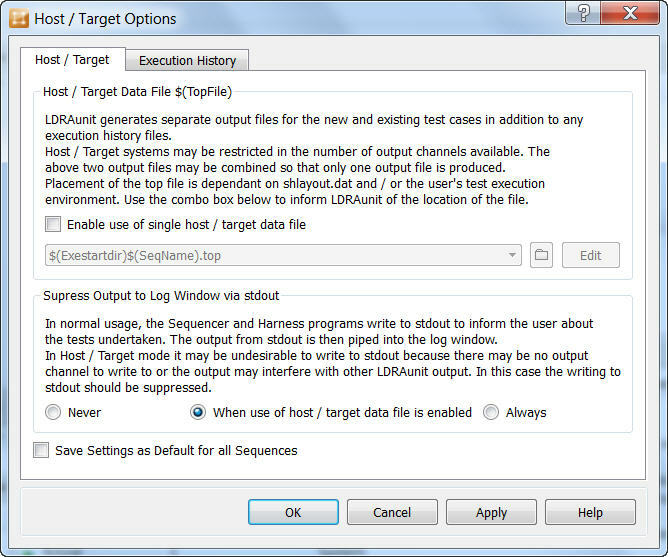 Users can then export a sequence to a Test Case File (TCF) which contains all of the information required to re-run the test cases. TCF’s can be grouped with regression reports and can be stored for regression verification and either saved with the source file, via a software configuration management (SCM) system, or used as an annotation. Requirements based testing documentation, including why particular values were chosen and tags to map to a requirement management system, can be added for storage. When used as a SCM annotation these files allow managers to determine directly from the SCM system that developers are testing their code on check in. TCF’s can also be re-run from the command line and in batch mode so that as the source code changes module interfaces and output can be verified. 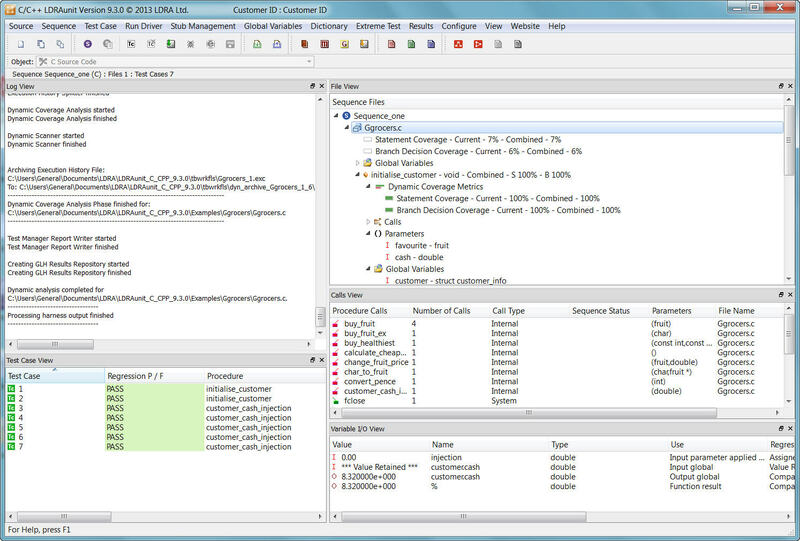 LDRAunit has access to the full range of coverage metrics available in the LDRA tool suite. These include Procedure Call, Statement, Branch/Decision, MC/DC and LCSAJ (Test Path). Users can choose an appropriate metric or set of metrics based on their safety and program constraints. For example, MC/DC coverage is essential to verify results are not masked by condition input conditions and LCSAJ coverage provides a comprehensive metric to evaluate loops. All of these metrics are available graphically, via flow graph displays, call graph displays and the file/view of the LDRAunit GUI. 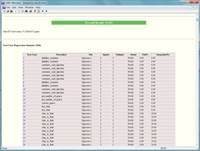 Users can directly access compliance reports to give overall pass / fail metrics for standards such as DO-178B. 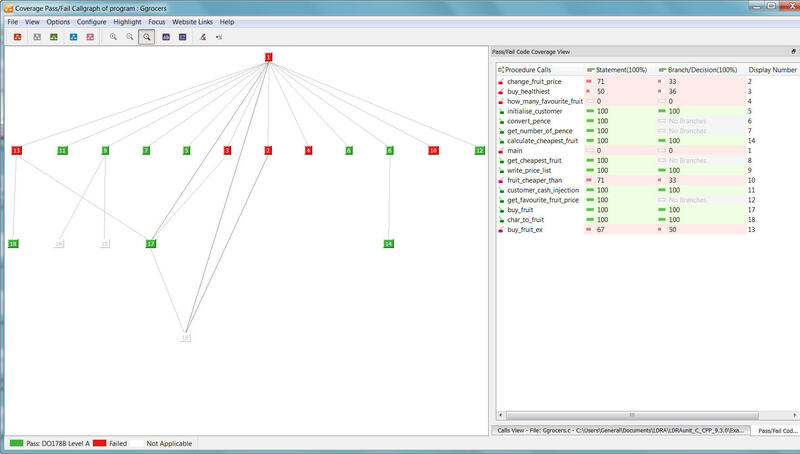 Line by line views as to which statements, branches and conditions have been executed are also shown in these reports. eXtreme Testing builds on the LDRAunit ability to automatically populate unit test cases, extending this to the generation of the test cases themselves. It automates the unit/module/integration testing processes and, by encompassing test harness and test vector production, it eliminates almost all of the overheads associated with bottom-up testing.